Porto has been regarded as one of the best secrets in Europe revealed to the world lately. Its human and urban features have distinguished Porto as the Best European Destination in 2014. As a World Heritage city Porto combines history and tradition and a vibrant atmosphere of modernity. The name of the city was associated since long to the world famous and ever praised Port Wine which has been raised for centuries in the Upper Douro Valley, Porto is the real gateway to. This Conference is to be held close to the most emblematic popular event about town of the year: the night of June 23 celebrates St. John, and the grand feast to be run in his honour literally seizes downtown and the river neighbourhood. In fact, all sorts of entertainment, popular gastronomy, fireworks at midnight, lively music in the open are offered together with a variety of spontaneous manifestations of people’s joy as expressed by both locals and tourists. Taxis run day and night throughout the city and are available at taxi ranks. You can also hail them in the street or call a taxi company. Taxis take up to four passengers. A supplement is payable for baggage exceeding 55x35x20 cm. It is a good way to get to the airport quickly. Approximate cost from airport is 16.00€ depending on time of day, traffic and amount of luggage. Remember to pay only the price displayed on the actual taxi meter. It is recommended that you always ask for a receipt. Travel Tickets: T2 (2,60€) or Andante Z4 (1,85€). 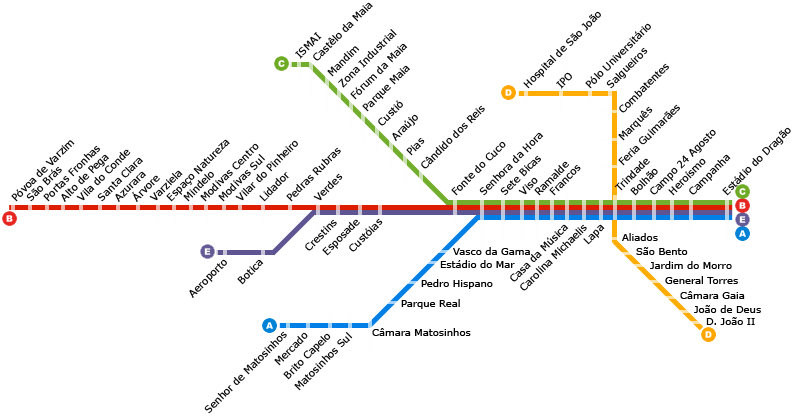 Take the Purple Line (Destination: Estádio do Dragão) until Connection Station Trindade. Here, you will have to change to Yellow Line (Destination: Hospital São João). To travel by bus or Metro, you must purchase Andante. Andante is the multimodal tariff valid in the major public transportation of the Metropolitan Area of Porto. With the Andante you can travel in STCP, Metro do Porto, CP – Porto Urban Trains and in some private bus operators. The price of the journey depends only on the full journey and not on the modes of transportation or on the number of boardings you make. Andante card can be bought from metro station machines. Users should always validate the Andante card by touching it in at the start and touching it out at the end of a journey and also whenever they change the route or from one means of transport to another no matter the card might be. All season tickets must be validated on boarding. If no convenient flight into Porto is available, international participants may fly to Lisbon International Airport and either take an internal connecting flight or a train to Porto. Lisbon Airport is located almost in the center of the city. A Metro station at the airport on the red line (Destination Station: S. Sebastião) quickly takes to the Oriente Station, where one will be able to take a train connection to Porto. There are two possible train solutions between Lisbon and Porto. Alfa Pendular is the faster one, taking at about 2.30 travel hours. Tickets cost 30,30 €. Intercidades takes 3.00 hours, and costs 24,30 €.